Hello again. Today I have my customer thank you cards for June to share with you. If you shop with me in my Stampin' Up! online store then each month I send a handmade thank you card and a small gift. Additionally, if you add the host code into the box at checkout you will receive an extra gift. Last month's host code users all received a stamp set. So on to today's card. 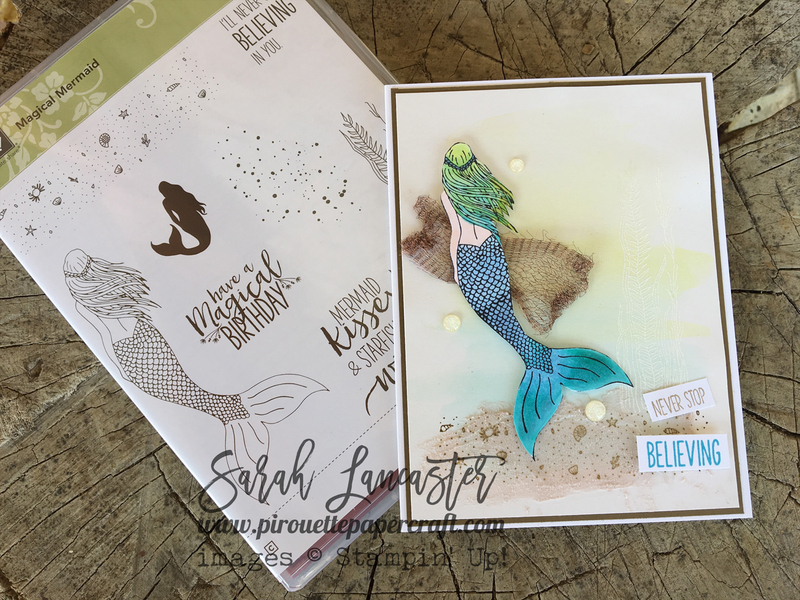 I just love the sea and mermaids too ! This card is created on the Shimmery White card stock and I added a light water colour background. When that was dry I heat embossed in white the underwater foliage from the stamp set. Then I got to play with the new embossing paste ! Have you seen that in the catalogue - it's amazing, but be sure to clean the things you use with it and your work surface straight away ! 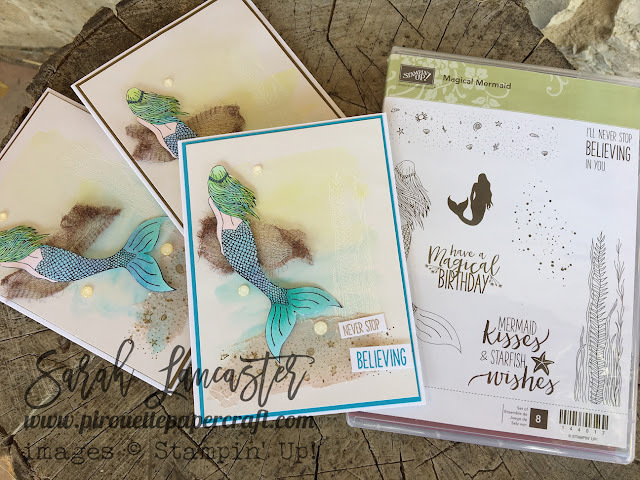 I coloured the embossing paste using reinker and when it was dry I stamped right on top of it ! I had to fussy cut the mermaid after colouring as there is no die available but I didn't mind. I added some of the new copper trim ribbon, you can cut it open and spread it out. To finish I added some of the ombre glitter candy dots. I CASEd my card from pinterest - there are lots of beautiful examples of this set on there - are you a member ? This is just gorgeous! What are the ink colors you used.